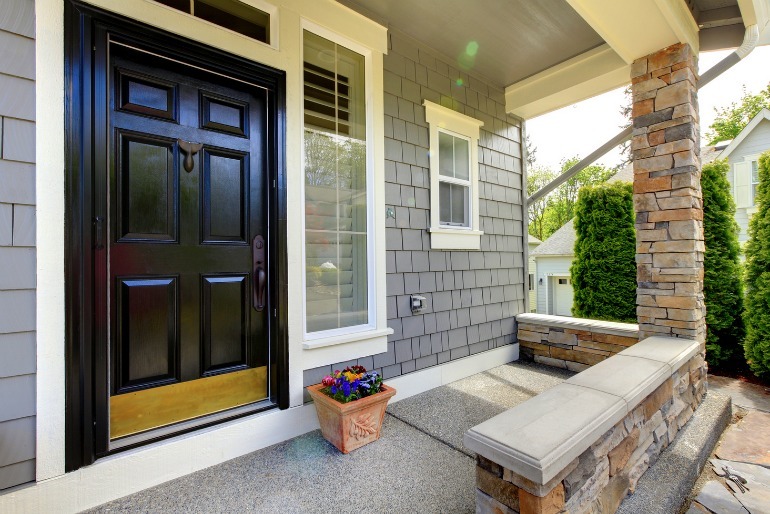 Your front porch is a very important element of your home, it is also a place of much potential. Too many home-owners do not use the opportunity to make the most of what can be the defining feature of a houses exterior. 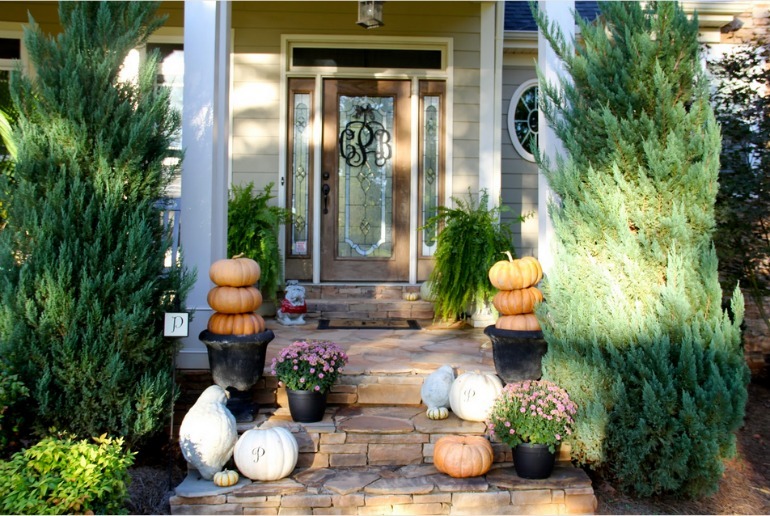 A front porch should be welcoming to guests and give passers-by an idea of the character of the people who live in the house. 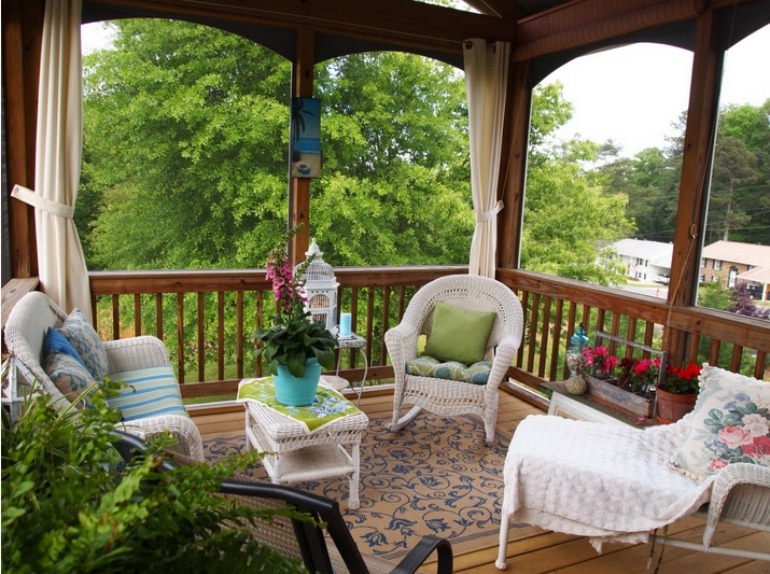 Here are some examples of the best front porch designs. This classic porch provides a warm welcome to visitors plus a place to put your wellies or boots after a long spring walk. Pin this image for spring inspiration. 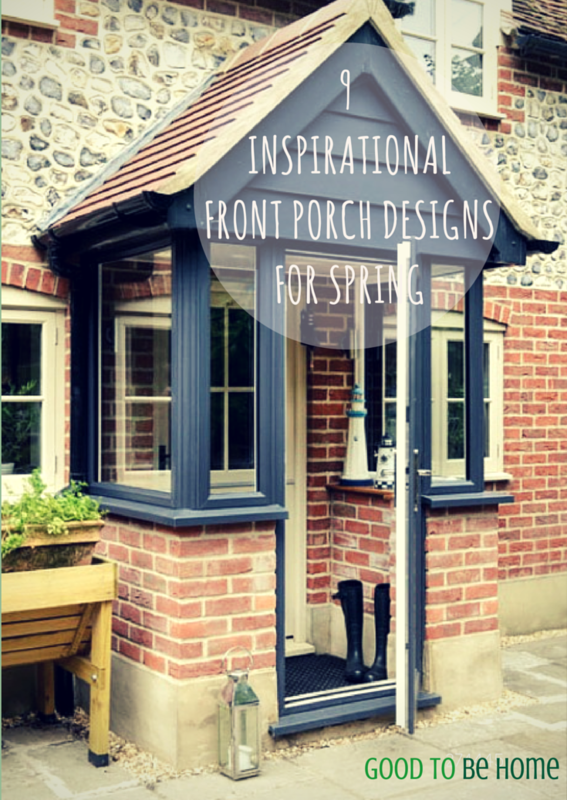 Hopefully, these ideas will energise you to get thinking about your porch this spring. 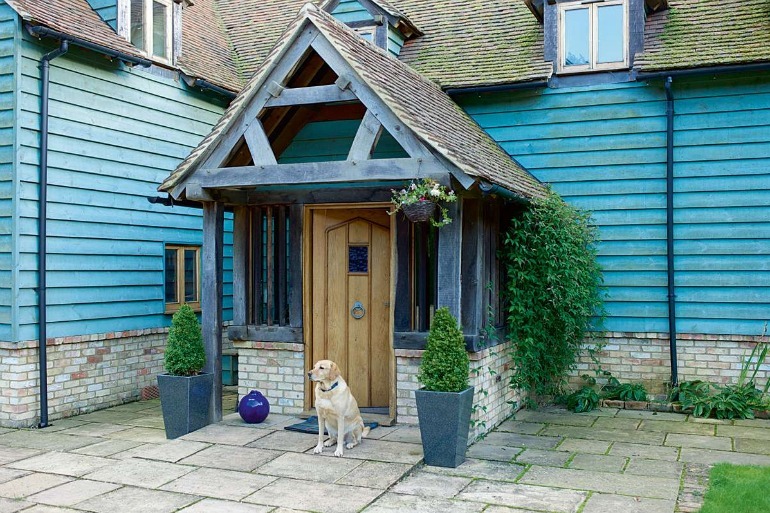 If you are looking to re-think the entrance to your home, take a look at what is on offer from Anglian. 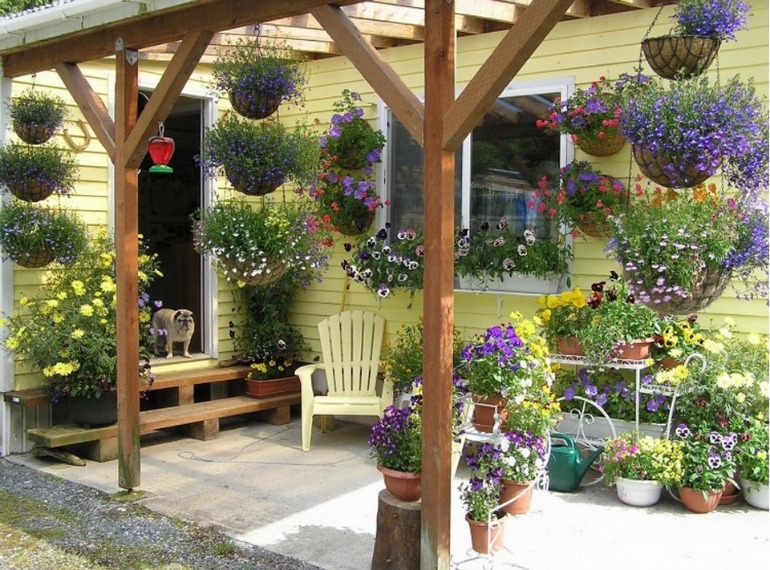 Porches were made for hanging baskets (literally, by the looks of this design). Sitting out on a floral porch with your pet pug is one of life’s pleasures. This ground level design found on Rootnh shows how sometimes flowers maketh the porch. 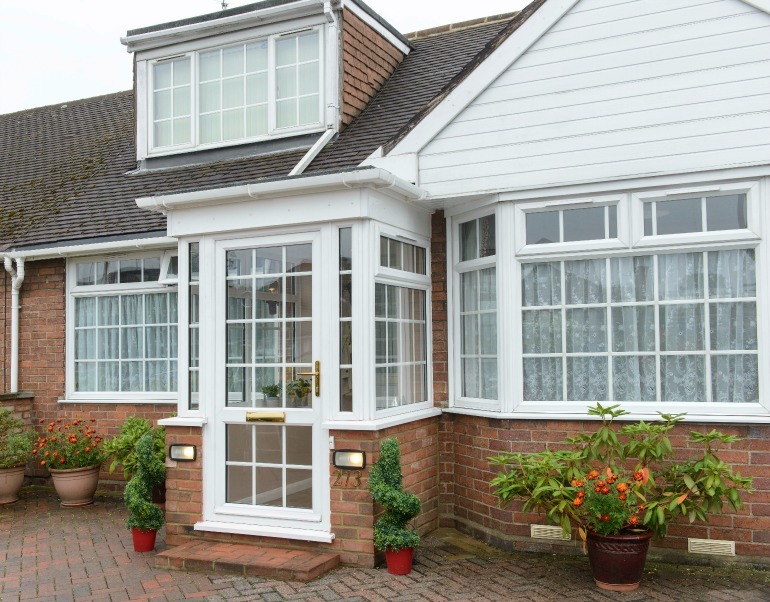 A porch as a reception area can provide the perfect welcome to a home as well as adding value to a property. 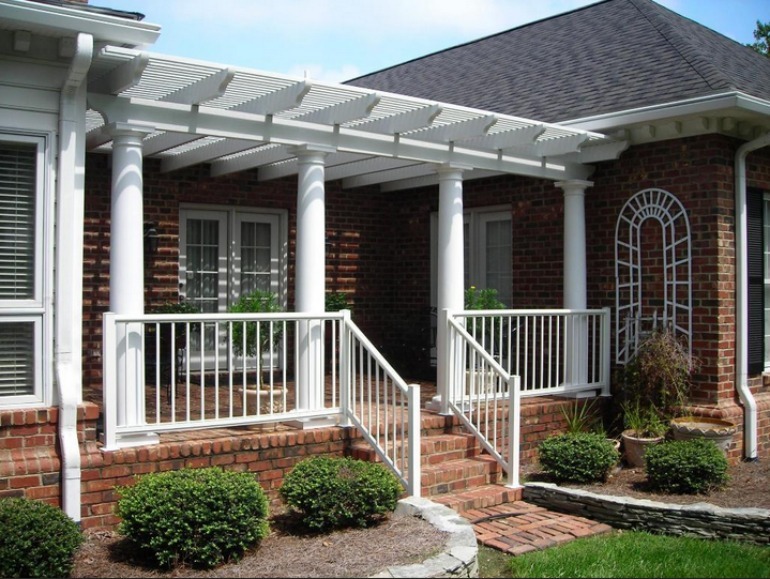 Undercover porches provide a wonderful living space in the warmer months. This design over on Interior Design Ideas has a fantastic homely feel to it with a rug for added comfort. You can accessorise your porch design with a whole host of objects. This design, featured on Dehouss makes great use of fresh produce, you can have a look in your local reclamation yard or second hand shop to see what treasures you can find to adorn your entrance. We can’t all have a faithful guard like this fellow on patrol, but the colour-coordinated plant pots and tumbling vine plants give this simple design a stunning look – from Homebuilding and Renovating. A clean space for minimal decoration is sometimes preferable for a non-fussy entrance which is relaxing and welcoming. This design, found on MeddioDesign, looks classical and modern at once.